Defined as modern, atonal, dodecaphonic, avant-garde, experimental, electronic, minimalist, classical … contemporary music can also have other epithets such as pointillism, aleatoric music, concrete music, new simplicity, new complexity and even spectral music! Don’t be amazed, the auditory pleasure created by the sounds with which the current musicians fill their pentagrams is in full ferment and going through a phase of extraordinary research. After the dissonances widely used in twelve-note music since the beginning of the last century, now more and more people do listen to non-conventional techniques, and from Europe to Australia orchestras and festivals feature the latest vogue. “And what about Milan?”you may ask. Milan loves musical innovation, given that in 386 A.D. for about ten years it was the cradle of the ultra-modern sounds created by Saint Ambrose in the renewal of the Gregorian chant! In the case of contemporary, though, the beginnings were slow, perhaps due to the strong love for classical music and opera. Only in 1932 did Milan become the birthplace of the composer Giacomo Manzoni, active in the mid 20th century also as editor of the contemporary music magazine “Diapason”, and music reviewer of the newspaper “Unità”. Years later, on 22nd October 1976, the first series of ” Musica nel nostro tempo” began, with 14 concerts involving orchestras and international artists such as Maurizio Pollini, the Quartetto Italiano, the London Sinfonietta, Salvatore Accardo, and even La Scala which was participating with music by Karlheinz Stockhausen, directed by Claudio Abbado. To introduce young people to contemporary music, the tickets had a truly political price £ 1000 (€ 0.50) per concert, and £ 8000 (€ 4) for the whole series. For ten years, Milan has joined Torino to organize the Festival MITO Settembre Musica, a month of sounds that does not go unnoticed in the current scenario of so-called cultural music. In Milan there are two great experienced resident orchestras: Divertimento Ensemble and Sentieri Selvaggi, and we normally include their programs in our what’s on section. The former debuted in Madrid in 1977 during the program “The Dias de Musica Contemporánea”, achieving remarkable and amazing success. Soon they were invited to play with the prestigious Società del Quartetto, then participate in ” Musica nel nostro tempo”, and shortly after in the “Musik im 20. Jahrhundert” in Saarbrücken. From there they took off around the world. Now they are celebrating their first 40 years of career during which they have given over 1,000 concerts and recorded 16 CDs, as well as co-productions with major European partners. With Ensemble Alternance they founded Divertimento Ensemble Alternance; they collaborate with the Parisian Institut de Recherche et Coordination Acoustique / Musique; and have played with the Stuttgart Neue Vocalsolisten. For the last 5 years Divertimento Ensemble has been the only Italian member of the Ulysses Network, that brings together some of the most important European players, to participate in projects dedicated to young composers and European performers. 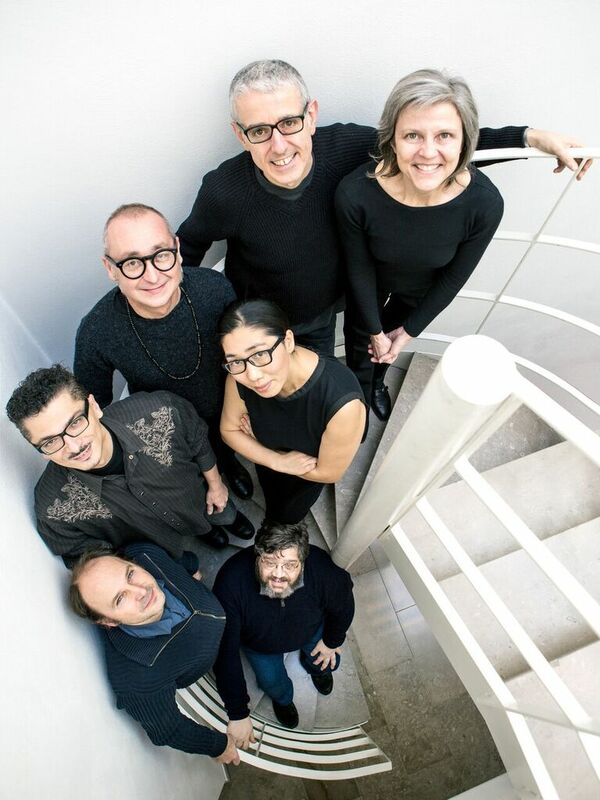 Through the newly formed IDEA, International Divertimento Ensemble Academy, as of 2017 they will offer training for composers, performers and conductors, international competitions in composition and execution, involving young people from around the world supervised by superb tutors such as Klaus Huber, Mauricio Kagel, Helmut Lachenmann, Michael Jarrell and Frank Bedrossian. 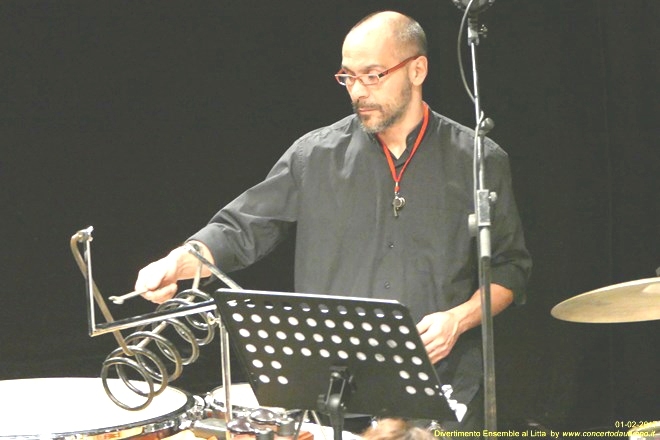 Since 1997, the group Sentieri Selvaggi has also been engaged in the project of bringing contemporary music to the public, presenting in Italy scores written for them by international names such as David Lang, Louis Andriessen, James MacMillan, Philip Glass, Gavin Bryars, Michael Nyman, Julia Wolfe, Fabio Vacchi. An important chapter in the work of Sentieri Selvaggi includes their productions for musical theater. An example is the chamber opera composed by the great pianist and composer Michael Nyman, from the famous story written by the neurologist Oliver Sacks “The Man Who mistook His Wife for a Hat”, and the diptych “The Sound of a Voice” by Philip Glass, that the Baltimore composer created together with playwright David Henry Hwang on commission from the American Repertory Theatre. Anyone wishing to listen to the music by Nyman, cannot miss the show Piano only, film music with compositions and improvisations accompanied by the projections of the films he has produced being inspired by the notes played continuously, with the participation of the violinist Anna Tifu, for whom Nyman has composed “On the fiddle”, a play that they will perform live together. Thanks to the generous charity of these two artists and the hospitality offered by Unicredit Pavilion, a wonderful coffer of contemporary architecture, the entire proceeds will be donated to the construction of three schools in Norcia and two in Cascia for about 600 children, who have lost everything during the last earthquake.